Do you know that every disposable nappy ever made still exists as they take soooooo many years to breakdown in landfill? We used washable nappies with Oz and I see no reason to switch now. We used a mix of motherease multisize and motherease sandis. Some were bought and others borrowed. This time around we even have electricity generating solar panels so the washing can be free and environmentally friendly too. I do seem to be short of small size nappy wraps though. And either they have gone up in price or my price tolerance has gone down cos they are soooooooooo expensive. I decided to try making my own. I searched everywhere for tutorials and ended up doing my own thing. So I thought I’d share my process with you. Incidentally I bought all my supplies from ebay!!! I made the pattern by drawing around my 1 remaining small size wrap. 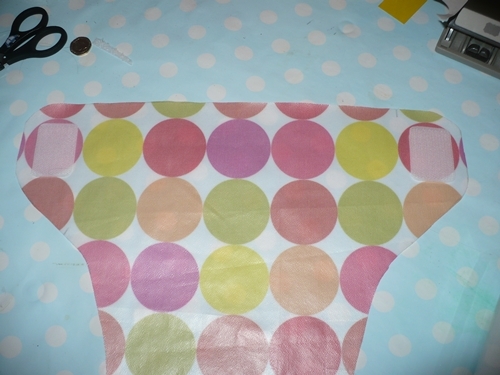 I believe you could also draw around the nappy (diaper) you want to cover, leaving a 1″ or so border. You don’t need seam allowance as the fold over elastic will bind the edge. Don’t forget to stretch out any gathered parts, eg around the legs as you draw. 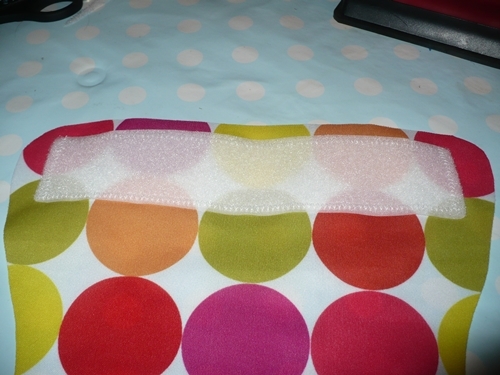 I drew around the pattern on the wrong side of the PUL, not wanting to pin into the fabric more than necessary. In the pic you can also see a facing strip that I actually left out in the final version. (I think you need it if you use prefold nappies?) As they are a small size I managed to cut 3 from 2 cuts of pul. (If you buy more than one cut together they leave them attached as it were, as they cut to order.) 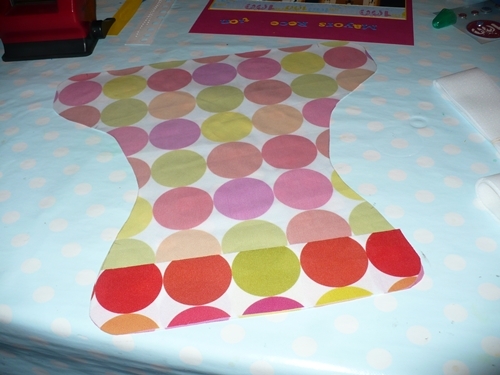 This was an experiment, but it would definately be more cost effective to buy by the metre in future. Line up the velcro and sew it down. 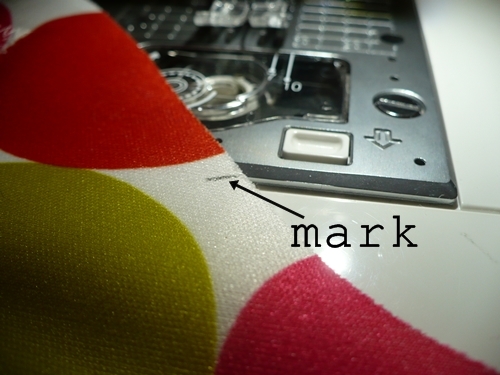 Note: the velcro I got is quite sturdy so I rounded the corners when cutting so they wouldn’t be sharp. 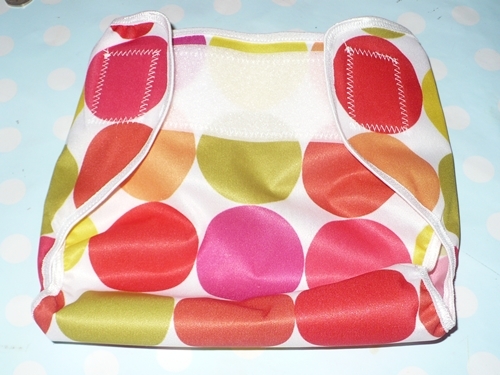 I used a zig zag stitch to attach. I used a long strip of loop on the outside front, and a smaller sections of hook on the wrong side of each tab. Mark onto the right side the portions that need gathering (depends on the wrap/nappy style but usually the top back edge and around the leg holes). Here are pix of my mark (which is covered by the fold over elastic) and a view of the finished gathered section so I hope you can see what I mean! The arrows show the back but of course the legs are strecthed/gathered too. Now comes the scary bit, as there doesn’t seem to be a way to pin. If you have speed control on your machine set it to slow. Also if you have the option to stop with needle down do so. Set the machine to zig zag. 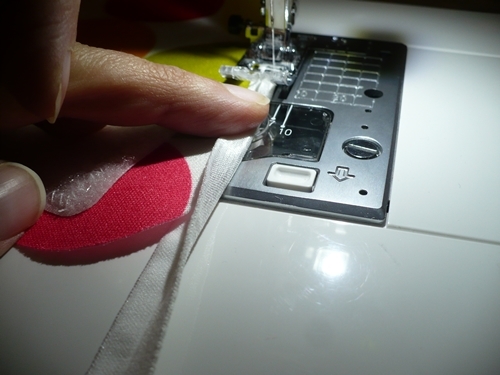 Fold the beginning of the elastic over the edge of the wrap and hold it there. I started on a tab. 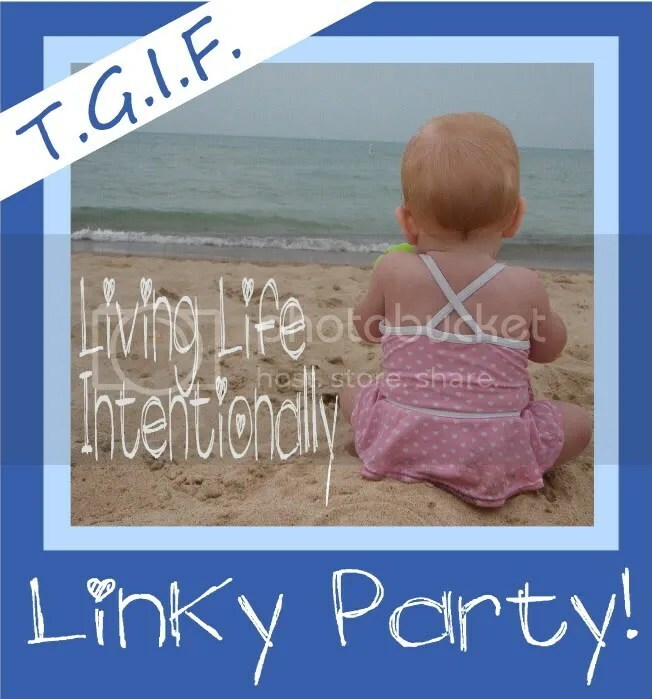 Make sure wherever you start isn’t a gathered portion of the wrap. Position the wrap and elastic under the foot and start to slowly sticth it down. It’s like binding the edge. 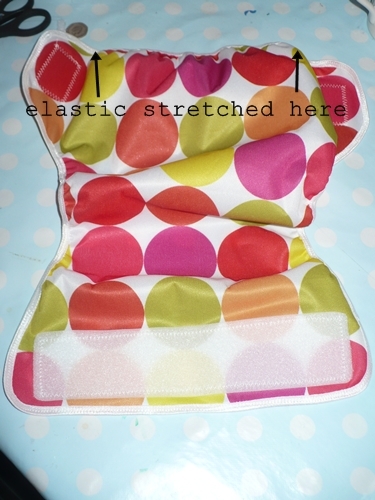 Leave the elastic in it’s natural unstretched state, easing it around the curves of the edge of the wrap as you go. WHEN YOU REACH THE MARK at the beginning of the gathered section you need to stretch the elastic right out tight, whilst not pulling the PUL too much and feed it around the edge with your other 3 hands while you do so! (ie. You are stitching stretched elastic to unstretched wrap.) Stop at the mark indicating the end of the gathered portion and continue as before with the elastic ‘relaxed’. I really hope that makes sense. I didn’t have enough hands to take pix mid process. I felt really bad using disposable diapers so we made the switch to cloth as well. It’s a bit more laundry, but feels so much better to help the environment!